There is no question the government must keep Canada safe from terrorist activities and threats, but Bill C-51 is not the answer. Bill C-51 is wide-sweeping in powers and gift-wrapped in rhetoric. We already have an arsenal of tools in the Criminal Code and other existing anti-terror legislation, which provides Canadian law enforcement and agencies with robust powers to fight terrorists. It was existing laws that successfully empowered Canadian police to thwart, arrest and charge suspects in the Toronto 18 and Via Rail terror plots. Bill C-51 simply increases government power in ways that can threaten innocent Canadians. There is no question the government must keep Canada safe from terrorist activities and threats, but Bill C-51 is not the answer. First Bill C-51 threatens free speech and expression. In Canada, we have the Criminal Code which is triggered by willful inciting of hatred and has other provisions that can capture terrorist speech. Bill C-51 however, creates new crimes for "advocating" or "promoting" terrorism. The wording of the legislation is so broad that it threatens to criminalize legitimate speech -- dissent, counter-speech, and protest are constitutionally protected and are fundamental to a vibrant democracy. Further, speech in all its legitimate forms can be extremely useful in fighting against radicalization -- so why would we risk its suppression? Another concern is that Bill C-51 expands CSIS's powers without any commensurate increase in accountability or oversight mechanisms. Bill C-51 now enables CSIS to take "measures within or outside Canada" to reduce a threat to the "security of Canada." This turns CSIS from the recipient collector and analyzer of information and intelligence for which it was created, into an agency with powers to act. In addition, the bill provides that the agency could act illegally or unconstitutionally if a judge approved such actions. Coupled with Bill C-44 provisions (Oct 2014), this means that so long as CSIS refrains from "death or bodily harm", does not "pervert justice" or "violate the sexual integrity of an individual", it will be able to act without regard to international law or the domestic laws of other countries. This is contrary to Canada's international legal obligations and our Charter. CSIS was created pursuant to the MacDonald Commission's determination, in the wake of RCMP illegal acts and wrongdoings, that law enforcement and intelligence functions should be separate. In this light, Bill C-51 seems both regressive and amnesiac. Additionally, increasing CSIS's powers so broadly, without any corresponding accountability mechanisms, seems a prescription for disaster. Since the 9/11 attacks in 2001, the Canadian Civil Liberties Association has been concerned that the powers of national security and intelligence agencies have grown without commensurate accountability mechanisms. The Arar Commission of Inquiry, examining the actions of CSIS and the RCMP, provided a series of targeted policy recommendations applicable to Canada's national security agencies including CSIS, the RCMP, and the CBSA, which years later have still not been implemented. In November 2013, the Federal Court determined that CSIS had misled the court in seeking warrants, by failing to disclose CSIS would be tasking its international Five Eyes partners to spy on Canadians abroad. In 2009, the Federal Court found that CSIS failed to disclose exculpatory evidence in the case of Hassan Almrei who was held for years under a Security Certificate. Facing criticism of Bill C-51, the Government has stated that CSIS has adequate oversight in SIRC, but this is not accurate. SIRC's limited review powers are insufficient to secure meaningful accountability for the new powers given to CSIS. In other words, the gaping hole of accountability for national security agencies was never filled, and Bill C-51 makes that hole exponentially wider. Third, Bill C-51 creates the Security of Canada Information Sharing Act which both relaxes the standards of information sharing among Canadian agencies, and between Canadian and foreign agencies. It also permits sharing of information on persons threatening to "undermine the security of Canada" including the "economic or financial stability of Canada." This is very broad wording that can easily be used to apply to people who are not at all engaged in terrorist activity -- for example environmental activists opposing pipelines. Worse, information about such people engaged in lawful activities may be collected and shared among domestic and foreign agencies. We recall the unfortunate and unjust story of a Canadian woman who was prevented from entering the United States, because U.S. officials had information received from Canadian databases that she had attempted suicide in Canada many years before. No fewer than three recent Canadian Federal Commissions of Inquiry have detailed serious concerns surrounding information collection and dissemination, which remain unaddressed. In recent memory, flaws in information-sharing resulted in the illegal rendition and torture of Maher Arar; contributed to the torture of three Arab Canadian men abroad, (Abdoullah Almalki, Ahmed Abou-Elmaati, and Muayyed Nureddin), and contributed to the tragic bombing of Air India Flight 182 killing all 329 people aboard, most of whom were Canadian. Justices O'Connor and Iacobucci have warned against "loose and imprecise language" and the lack of "qualifications" of information, which can have serious unintended consequences when information is shared domestically or with foreign agencies. Bill C-51 shows a collective amnesia to these lessons. Fourth, Bill C-51 lowers key thresholds that affect due process rights, another pillar of democracy. Right now, existing criminal law permits police to arrest and detain an individual or issue a peace bond, if police have a reasonable suspicion a terrorist activity "will be carried out" and such action is required. Bill C-51 lowers the thresholds in these cases to "may be carried out", which means police can use lower standards for preventive detention. Bill C-51 also increases the length of preventive detention from 72 hours to seven days. When preventative detention provisions were introduced post 9/11 (and renewed in 2013) CCLA argued that they were exceptional provisions that were unnecessary because Canada's Criminal Code already enables police to arrest and detain individuals to prevent a crime. The new powers in Bill C-51 threaten to normalize exceptions, and undermine fundamental democratic guarantees. We have yet to receive a response to our question of why these new powers are needed. Fifth, Bill C-51 prescribes new legislation (Secure Air Travel Act) around Canada's No-Fly List (Passenger Protect Program). Four years ago, CCLA pointed out the procedural problems with the program including excessive discretion and secrecy, which are exacerbated by Bill C-51. 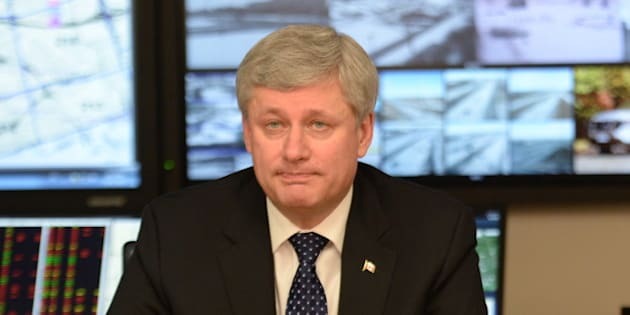 Canadians will now be subject to procedural errors with the Canadian No Fly List. The US No Fly List which Canadian airlines apply in Canada with limited redress options. Bill C-51 does not increase security. What Bill C-51 does deliver is a panoply of excessive new government powers which will constrain and intrude upon the rights of law abiding, innocent Canadians who have nothing to do with terrorism. Bill C-51 is a prescription for unchecked powers -- it pays no heed to learned lessons about the importance of safeguards. Without safeguards there will be mistakes and serious consequences. Bill C-51 could so radically alter the fabric of our democracy we may become unrecognizable even to ourselves. Public Safety Minister Stephen Blaney has stated "there is no liberty without security". In my view, there is no security without liberty. Still, there is no need to pit these objectives against each other -- history has shown that civil liberties and observance of safeguards are a prerequisite for real security.